Morocco is like the America of Africa: go there and you will feel strangely at home having seen it so often in films. The forbidding dunes, the lush oases and the frenetic souks will all be familiar to anyone with even a minor interest in cinematography. Being a bit of a culture vulture (read: nerd), I like to immerse myself in a place I'm going to by watching films and reading books set there. As a tourist, it can be difficult to get a real feel for a place, especially if you only have a short amount of time to spend there. Unless you're lucky enough to be staying with local people, you usually only get to meet people fleetingly and more often than not, they're other tourists. I find that experiencing the place through fictional characters can be a way to connect more fully with a place (read: I'm too shy to meet real people). It would seem logical to start with Morocco's most evocative film city: Casablanca. Images of Bogart and Bergman spring to mind, lazily lounging in the smoke-filled Rick's Café. 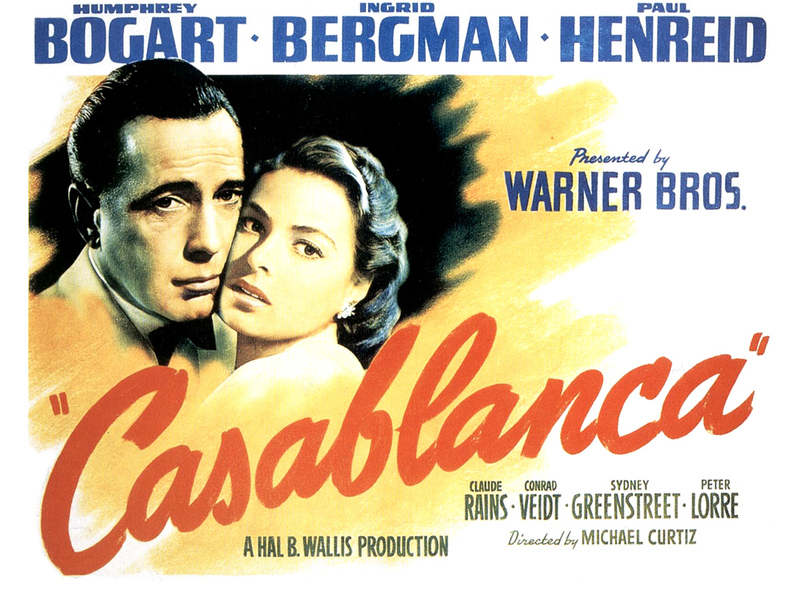 Surprisingly, the eponymous film was filmed entirely in a studio, but more recent films have been located here, including Tony Scott's Spy Game, in which Casablanca became the film's Beirut. With its palm lined avenues and jaunty Art Deco buildings, it's hard not see similarities with Miami. I'm somewhat biased here: give me some Art Deco and I'm a quivering wreck of adoration, but Casa has plenty else to offer – not least a refreshing lack of tourists. Tangiers is a name associated with seedy bars, beautiful women and illicit drinking. Writers flocked here in the 20th century, and it was a particular favourite with the subversive Beat generation. Drug-fuelled soirées were common-place in Jack Kerouac's account of living with William S. Borroughs in Tangiers, Desolation Angels, while oddball experimental French filmmaker Jean Genet was also a dweller of Tangiers. The city is a place for strolling and musing, a walking holiday for the laid back travellers among us: the atmosphere is heavy and slow, with only children daring to break the somnolent pace. There is even a square made for flaneurs called the Terrasse des Parresseux (the idler's terrace) where you can lose yourself in the blue above – a remnant of the bohemian 50's when Tangiers was at its most popular among the glitterati. 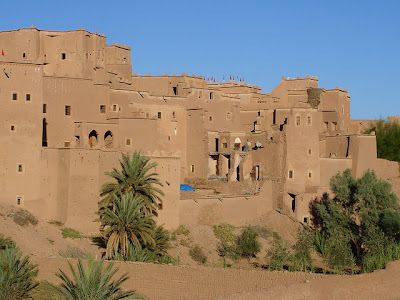 Last but not least we have Ouarzazate (pronounced Wahr-za-zat). It's known as 'Africa's Hollywood' and 'Ozzywood' because of the huge film studio found here – one of the biggest in the world. Film buffs will be familiar with the desert scenes in Gladiator and Babel, as well as Rules of Engagement. More recently, Ridley Scott's Body of Lies has given this stunning desert town a starring role, shown in all four corners of the globe. The mud kasbahs here are a big draw, and are captivating in their mystery: the solid walls with the sparse and tiny windows let on nothing about what occurs behind them. Families still live there, but their lives are hidden from prying eyes. If you're looking for pure romantic drama, you can use Ouarzazate as a base for a desert trek. Gaze at the night’s sky devoid of light pollution before hunkering down in a Berber tent, listening for the sounds of the sand. For all its familiarity, Morocco's allure is still partly found in its mystery. Reading books and watching films will only get you part-way into unravelling them. It's only by going back again and again that you can start to understand this extraordinary country. Don't be a nerd like me, don't just read the books and watch the films: talk to some people and you'll get so much out of your trip. Lalage enjoys walking holidays and filling up on plenty of couscous.